Close friends: Cruella adores dogs! 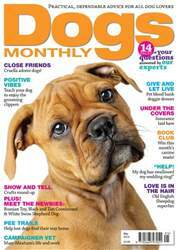 Book Club: win this month's canine reads! Positive vibes - teach your dog to enjoy grooming clippers!